The Brigade of Midshipmen: unrestricted funds which allow the Academy to address both ongoing and emerging needs of the Brigade. The Alumni Association: program support for the Alumni Association. The Foundation: operations and staff, which enables all private gift support for the Academy. Today’s midshipmen graduate into an increasingly complex environment, both technologically and geo-politically. Appropriated funds are not always available to respond with agility to meet the needs of a curriculum that constantly evolves. 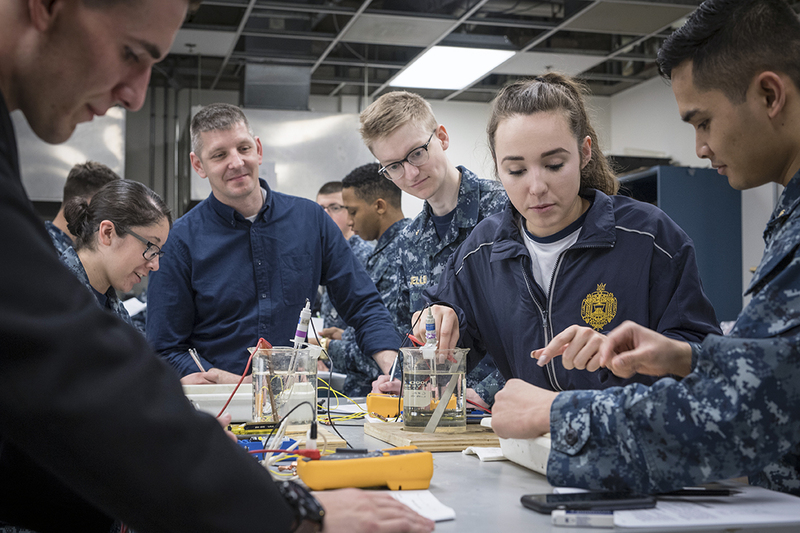 Academy leadership uses unrestricted gifts from the Naval Academy Fund to jump-start, and sometimes sustain, programs throughout the curriculum. Recent examples of programs that have benefitted from Naval Academy Fund support include study abroad opportunities, senior year capstone engineering projects and leadership and ethics education. It is this flexibility that makes the Naval Academy Fund the Superintendent’s number one priority for private gift support. The Naval Academy Fund also supports mission-critical functions of our Alumni Association. While most colleges and universities at least partially fund their Alumni and development operations, by law our alma mater cannot provide that support. The Naval Academy Fund augments other Alumni Association revenue streams to help provide alumni services such as Shipmate magazine, class reunion support, career services, WaveTops e-news and our web site www.usna.com. Unrestricted gifts to the Naval Academy Fund provide the sole source of funding for the operations and staffing of the Foundation. In turn, the Foundation executes all fundraising in support of the Naval Academy, averaging more than $25 million annually. The Foundation strives to steward this funding responsibly; the average cost of fundraising for the Foundation remains at about 18 cents on the dollar, well within national best practice parameters.